In Georgia more than 6 million people were involved in a motor vehicle accident between 2000 and 2006 according to the Georgia Department of Transportation. 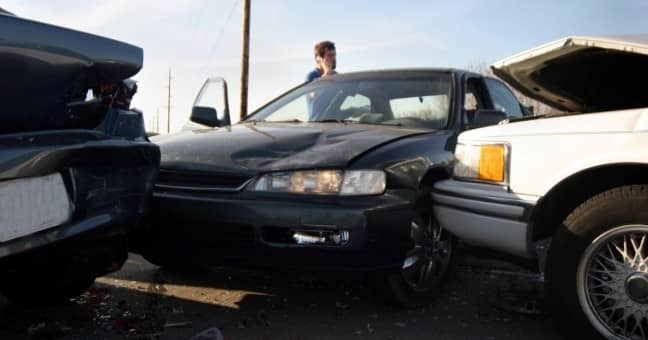 Unfortunately each day hundreds of Georgia residents are involved in auto accidents including those that involve multiple vehicles, sometimes referred to as pile-ups. According the National Highway Traffic Safety Administration, about 40 percent all fatal auto accidents occurred as a result of multi vehicle accidents. Although multi-vehicle collisions can be defined as any type of accident involving more than one vehicle, the term is usually used when an accident involves more than two vehicles. Such accidents could include multiple passenger cars, a car, motorcycle, and truck, or any combination. In 2002, one the nation’s largest multi vehicle accidents occurred in Catoosa County, Georgia and involved about 125 vehicles. In 2013 one of the worst pile-ups of the year involved 95 vehicles in Carroll County, Virginia. Although such accidents are not common, multi vehicle accidents do happen and oftentimes they lead to multiple individuals being injured. If you or a loved one was injured in a multi vehicle accident, the victim may be entitled to compensation for property damage, medical expenses, lost wages, and more. An experienced auto accident lawyer can help you determine if you may be eligible to make a claim for your pain and suffering. Data from the Georgia Department of Transportation notes that between 2000 and 2006 about 16.7 percent of the fatal multi vehicle truck accidents involved the large truck being struck from the rear by another vehicle. Reckless driving can encompass many different driver errors including driving too closely to other vehicles, failing to yield to vehicles in the merge lane, and even driving aggressively. When a multi vehicle accident happens the results are often devastating as vehicles in the center of it all are typically crushed. Furthermore, during accidents caused by bad weather some drivers involved in the crash will step out of their vehicles thus exposing themselves to even more dangers.